My girls are growing up way too quickly. Both the two eldest are nearly the same size as me, which is really scary but also kind of awesome as we can now swap clothes, shoes and hair accessories. Last week my husband stood in the kitchen with the fridge open and asked in a confused voice, "Why is there a shelf in here full of nail polish?" Yep. We're living with two teenage girls and one fast approaching her tweens. We have a shelf in the fridge dedicated to nail polish, it's true. Earlier this week I decided I would do a mini shoot with Jess because I really don't capture enough of my kids. I mean like every other iPhone wielder I do take a lot of snaps on my phone but I don't pull out my big camera enough. So I took Jess out and B came along to hold Evie as I went to the hairdressers this afternoon so Evie had major mummy withdrawals. I'm shooting Jess and getting a lot of awesome shots and B is standing in the sun looking all gorgeous with it pouring through her hair so I made the girls do a quick swap and snapped a few off of B also. 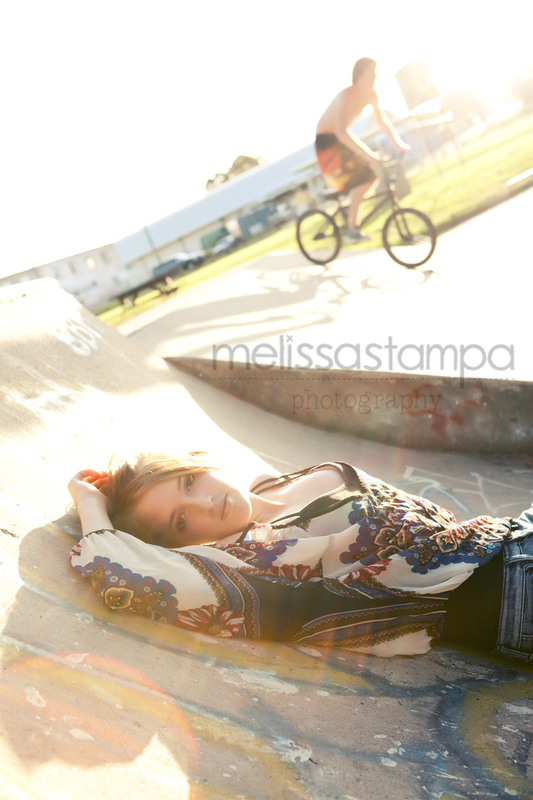 In the end my favourite photo of Jess was a last minute stop we made to the skate park. She wanted a photo with the graffiti and there were a few teenage boys hanging out who politely stood out of the way until I encouraged them to just go ahead and do their thing and I'd snap away while they were riding. B's dress and sunnies are by Ice. J's top and singlet top underneath are also by Ice. Your girls are gorgeous Mel! Loving the light in all of these. Im tipping the boys at the skate park probably didn't mind the interruption! lovely shots - look like they belong in a magazine! !